Custom designed for your precious Samsung Gear S2 Smart Watch, this V-Moro Metal Watch Band features a combination of functionality and style. 1.High quality, Perfect service while lower price. This stainless steel watch bands is the perfect choice for those who want to make their Galaxy Gear S2 SmartWatch noble and stylish at a convenient way. Great for outdoor sports / business / parties / shopping ,ect. Premium Metal Stainless Steel Mesh mixed with fashion, nobility, durability and elegance. Samsung Gear s2 Band Fits 6.0"-7.87" (152mm-200mm) wrist. The size can be adjusted according to the circumstance of individual wrist. Lifetime warranty. 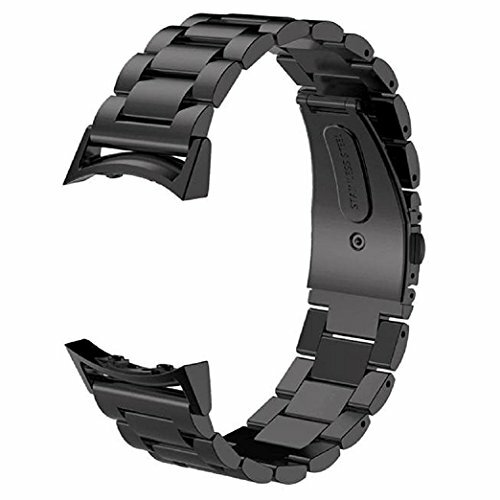 Please search "V-Moro Samsung Gear S2 Watch band" for other accessories offered by V-Moro.